It includes few body layouts such as Wide, Boxed and Frame. For accessing the Body layout & width, You can do so by simply navigating to the Appearance > Theme Options > General. Wide: The wide layout occupies the entire window width of the screen. 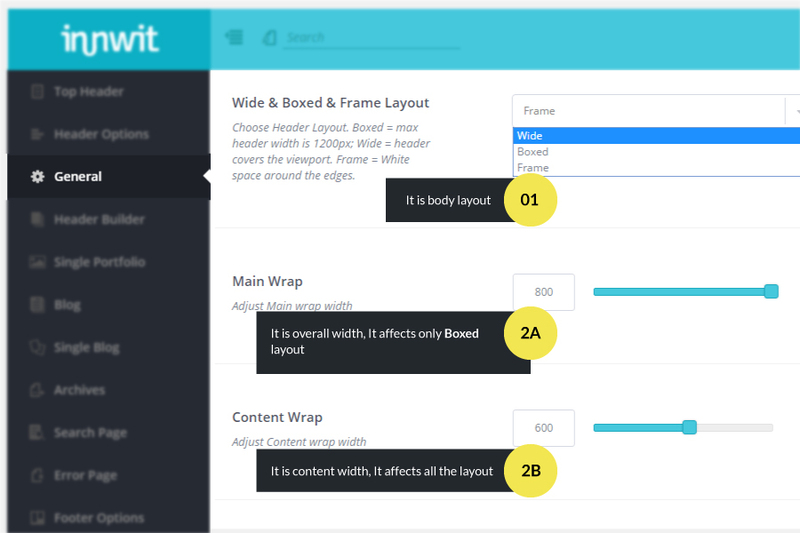 You can control the width using Content wrap setting. Boxed: The boxed layout helps to shrink the header and footer. It takes boxed layout width from Main Wrap setting. Frame: The frame layout make the website looks like a frame, 20px white gap covers the entire page.